Debra Millar, MSN, RN, APHN, is an Assistant Professor at California State University, Stanislaus and a Global Health Consultant. She teaches Health Assessment, Advanced Health Assessment, Public Health, Leadership and Management in Nursing, and Transcultural Nursing. Prior to joining faculty she worked with the Center for Health Leadership and Practice (CHLP), a Center of the Public Health Institute. Previously, she worked globally for 22 years, including as the Kenya Country Director for Global Communities, where she lead a multi-million dollar, public health program aimed at developing the capacity of local organizations to improve and expand a range of HIV services. As a Senior Global Health Advisor, she addressed issues such as HIV prevention, care and treatment, malaria, water & sanitation, tuberculosis, blood safety, neglected tropical diseases, and psychosocial community-based services. She has assisted a range of organizations in strategic planning, organizational, and leadership development. As an expert facilitator, she has facilitated numerous workshops, retreats, and strategic planning events, both in the US and abroad. Debra continues to contribute to the planning and development of global health programs, including those addressing HIV/AIDS, malaria, health commodities supply chain, and water/sanitation, among others. Prior to her work in public health, she served as a Medical Officer for the U.S. Peace Corps and ran a medical clinic in a remote area of Kenya. She has worked in Bulgaria, Ecuador, Eritrea, Ethiopia, Kenya, Lesotho, Liberia, Mozambique, Namibia, Rwanda, South Africa, Sudan, Tanzania, and Uganda, as well as Haiti where she lead a public health prevention campaign in the wake of the 2010 cholera epidemic. Millar holds a Master’s Degree in Nursing and is Board Certified as an Advanced Public Health Nurse. In addition, she is a trained Appreciative Inquiry facilitator and an Action Learning Coach. 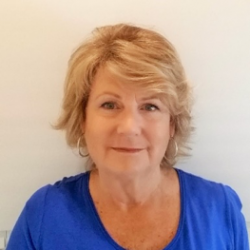 Debra has presented at a number of professional conferences and is a contributor to a Public Health Nursing textbook and a paper on the rapid implementation of a large-scale prevention campaign in rural Kenya, which she helped design. Debra is known for developing capacity of students, teams, programs, organizations, and governments, and is driven by a desire to alleviate suffering and see people achieve full potential. She is passionate about communicating cross-culturally, translating research into practice, and achieving sustainable results, drawing on her years of experience working in multi-cultural environments.